The trapped smoke on these unique pieces will capture your imagination. Dynamic copper glaze and traditional raku firing create these captivating vessels. 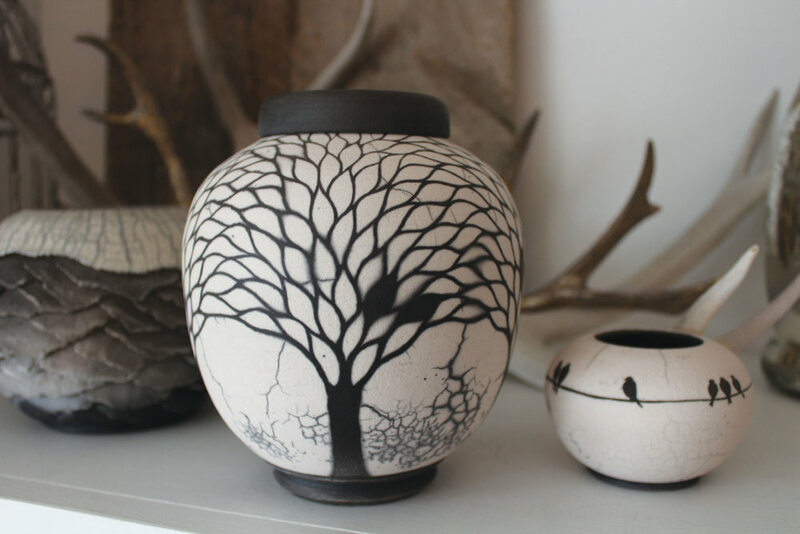 High temperatures produce cool handmade vessels and tableware. Handmade porcelain and 22k gold give form to delicate organic shapes. Add some handmade charm to your holidays.